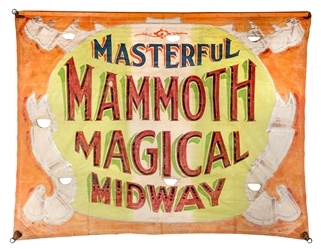 Lot Detail - Masterful Mammoth Magical Midway Banner. Masterful Mammoth Magical Midway Banner. Johnson, Fred. 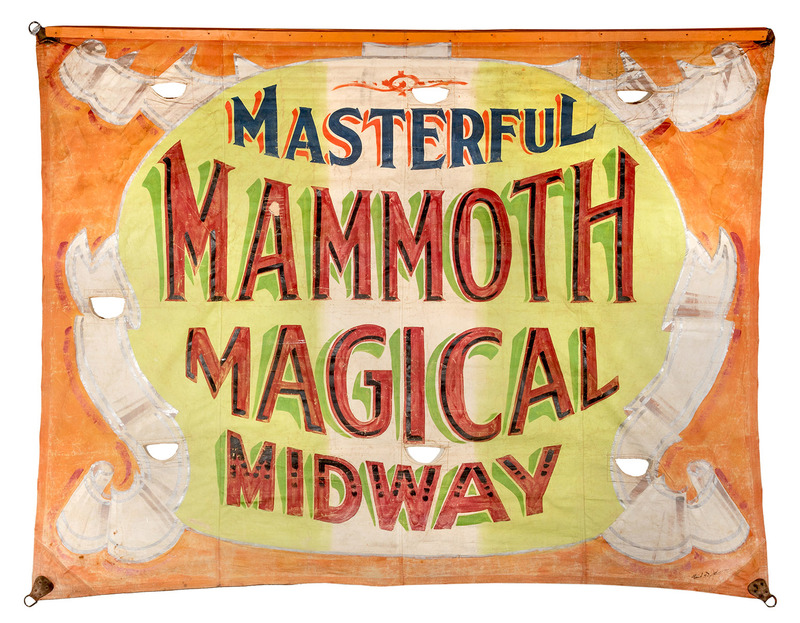 Masterful Mammoth Magical Midway Banner. Chicago, ca. 1965. Handsomely lettered entrance banner for a carnival midway, with finished vent flaps and wooden hanging batten. Signed by Johnson in the lower right. 91 x 116”.